How sweet, and look at the nice origami duck! On the bottom is Robert’s seal which, he says, “is my name in English (top row) and Japanese (bottom row). It’s an ambigram, so it’s the same if you rotate it 180°. Robert’s website, which shows many of his stupendous creations, is here, and if you want something special, he takes commissions. Thanks, Robert! This entry was written by whyevolutionistrue and posted on December 18, 2018 at 2:45 pm and filed under art, ducks. Bookmark the permalink. Follow any comments here with the RSS feed for this post. Both comments and trackbacks are currently closed. A very sweet gift. Regarding PCC’s other favorite animal, might I recommend the following news item? What a lovely and thoughtful gift! I watched an Origami documentary a few years ago in December and that year all my outgoing gifts were Origami owls. That was a fun year. We did our tree ornaments that way as well. The duck is very cute. And that article you are reading looks VERY interesting. What a great duck. I have met Robert Lang a couple of times at origami conventions in the Northern Hemisphere. 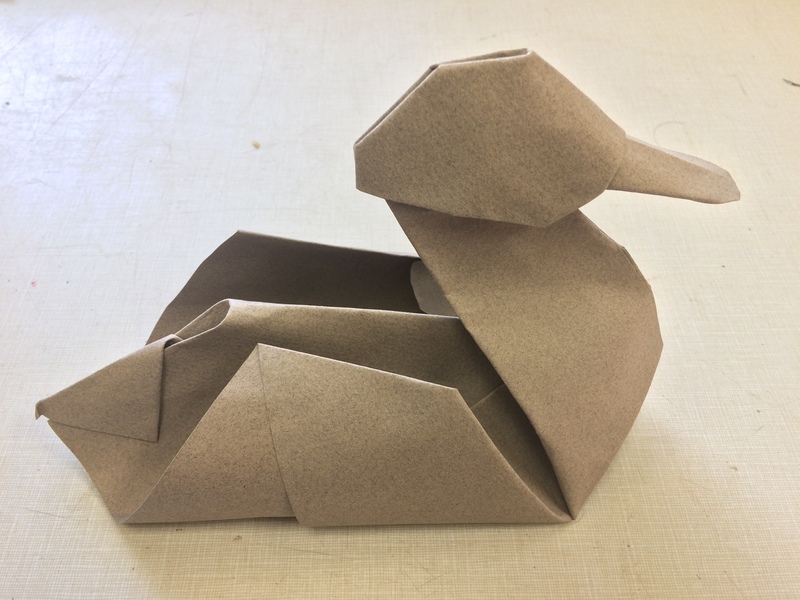 The great news is that he is lecturing at Sydney University in February and has kindly agreed to give a workshop for the Sydney Origami Group. So it’s hang the expense and head to Sydney from Adelaide for the workshop! Great. A nice Solstice gift. How cool! And what a kind thought. 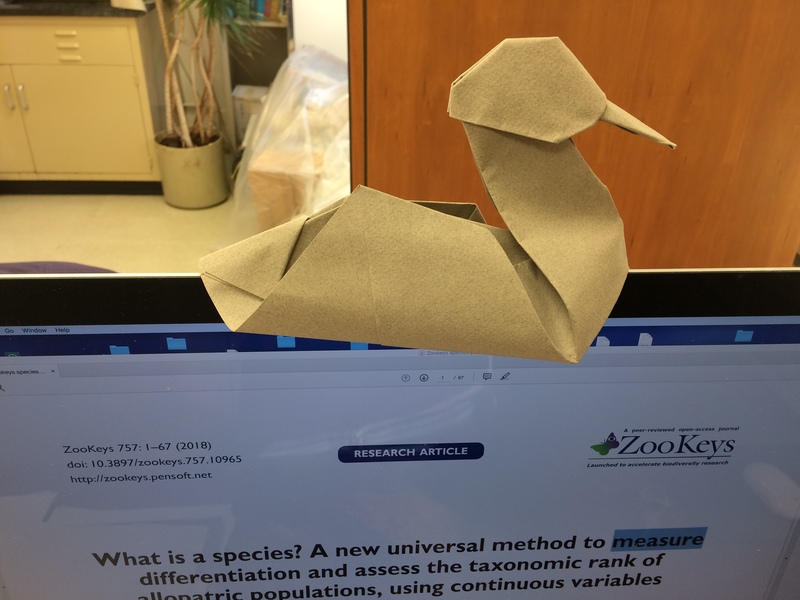 Knowing of my love of otters (I have a Top Ten of animals, in no particular order, except cats are #1 of course), Ann German sent me a photo of an origami otter by the same guy, inspired by this post. 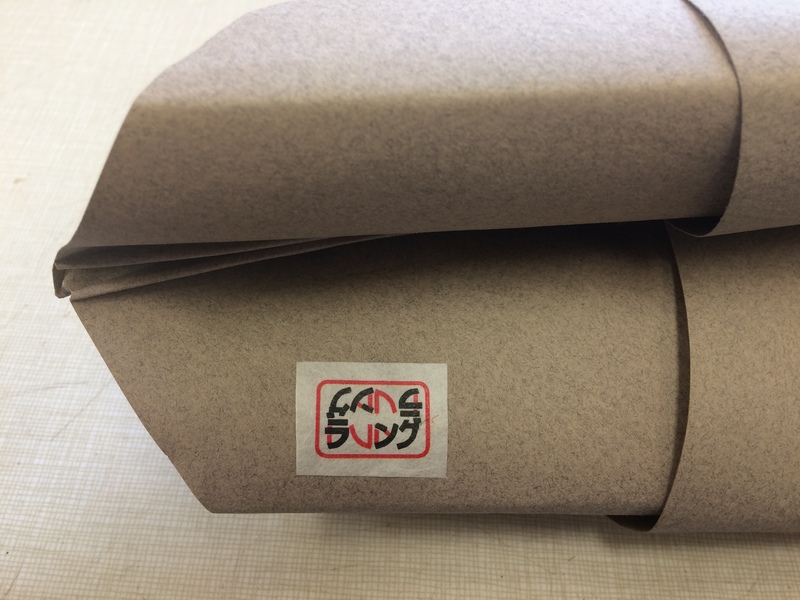 It’s gorgeous – made out of dark brown paper, lying on it’s back and holding something between its paws. For some reason I’m now desperate to know the top ten….. It tends to change as I’m reminded of animals I forgot about, but as well as otters and cats (of all kinds), owls, piwakawaka/fantails, kea, kakapo, ducks, monarch butterflies, and hedgehogs are always on it. I suggest attaching a very thin line or string at the … center of gravity … but easy to reach … and let her “paddle” in the air currents… all within OSHA code of course….